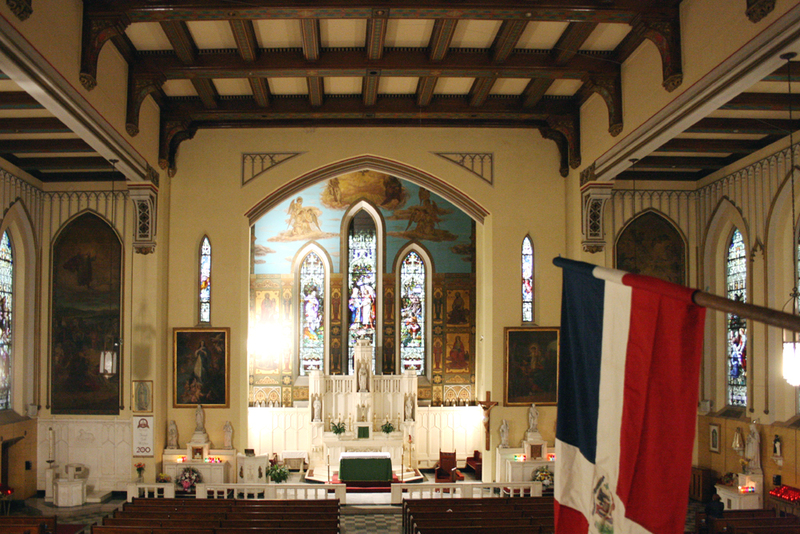 The Roman Catholic parish of St. Elizabeth in Fort Washington Heights (as it was then called) was founded in 1869. 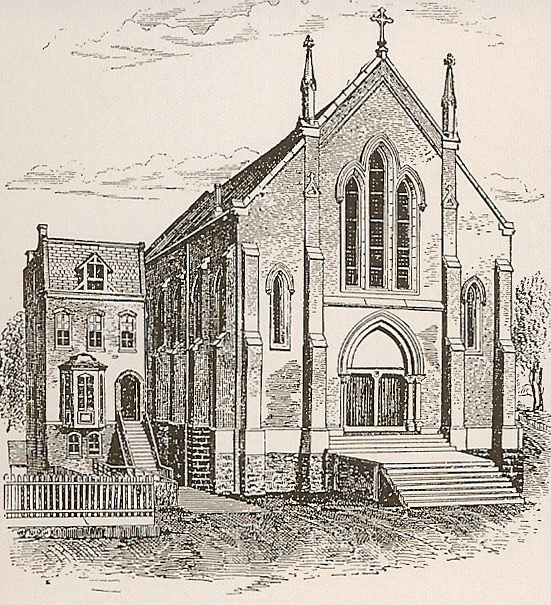 Nicholas Le Brun designed the first church building, located at 4381 Broadway at 187th Street, that was given by James Gordon Bennett of the New York Herald, who had embraced Catholicism in his later years. The church was dedicated by Archbishop McCloskey on January 14, 1872. In 1925, the church burned down and a new structure was built one block to the east on the southwest corner of Wadsworth Avenue and 187th Street. Designed in 1927 by Robert J. Reiley, the exterior is in a neo-Gothic style while the spacious interior – a square room that is as wide as it is long – resembles a Tudor Gothic hall with a flat beamed ceiling. Along the sides walls are stained glass windows that depict the story of Christ, and at the front are frescoes and two large paintings that are surrounded by Carpenter Gothic detailing. The church was dedicated by Cardinal Hayes on September 15, 1929.